Throughout your life, you will have two sets of teeth: primary (baby, deciduous) teeth and permanent (adult) teeth. At age 6-8 months, the primary teeth begin to appear, although many children will be one year before teeth erupt. 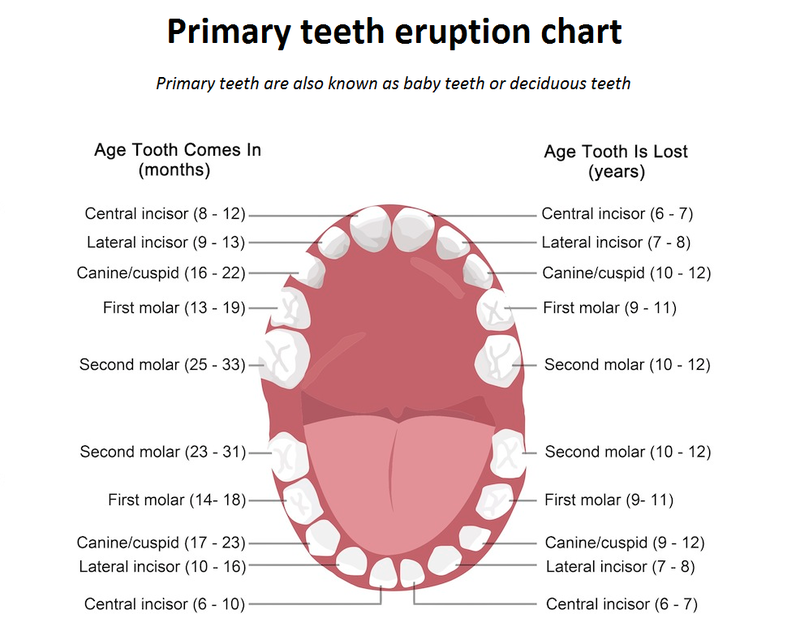 All 20 primary teeth are erupted by age 3 1/2. Permanent teeth will begin to erupt around age 6. With the exception of wisdom teeth, all teeth should be present between ages 12 and 14. Wisdom teeth erupt on average between 17 and 25 years of age. The total number of permanent teeth is 32, though few people have room for all 32 teeth. This is why wisdom teeth are usually removed.